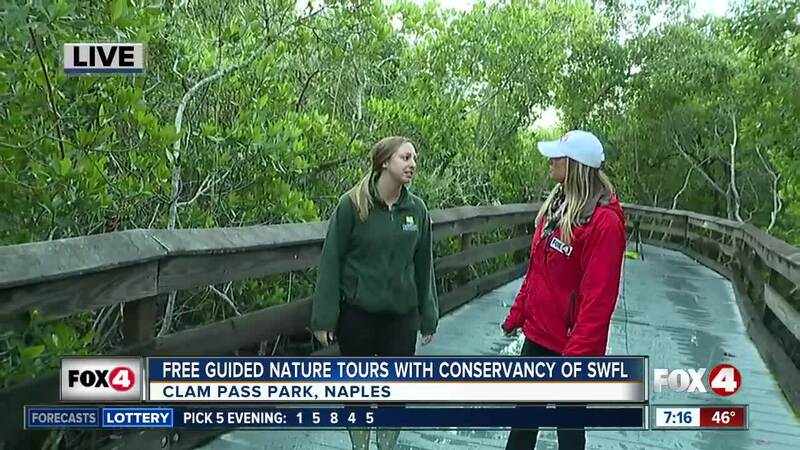 Free guided tours with the Conservancy of Southwest Florida! 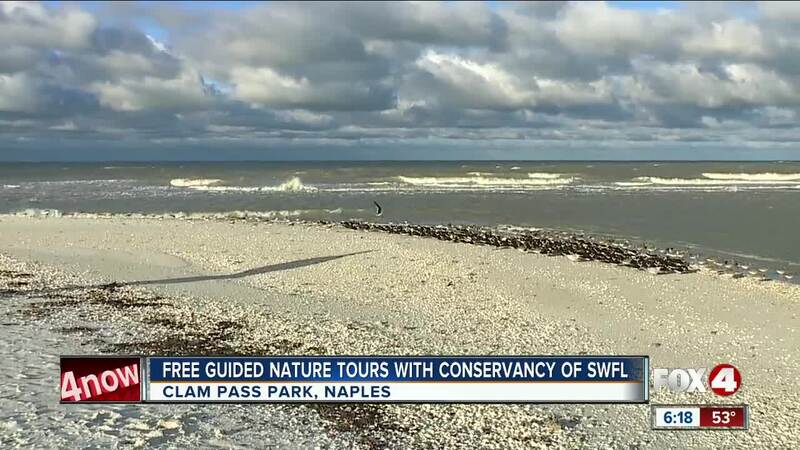 NAPLES, FLa. — Volunteer Naturalists with the Conservancy of SW Florida will take you on a free guided walk on the boardwalk, beach and back bay areas of Clam Pass Park in Naples everyday beginning at 9 a.m.
Naturalists will teach you about the animals, plants and shells seen along the way. 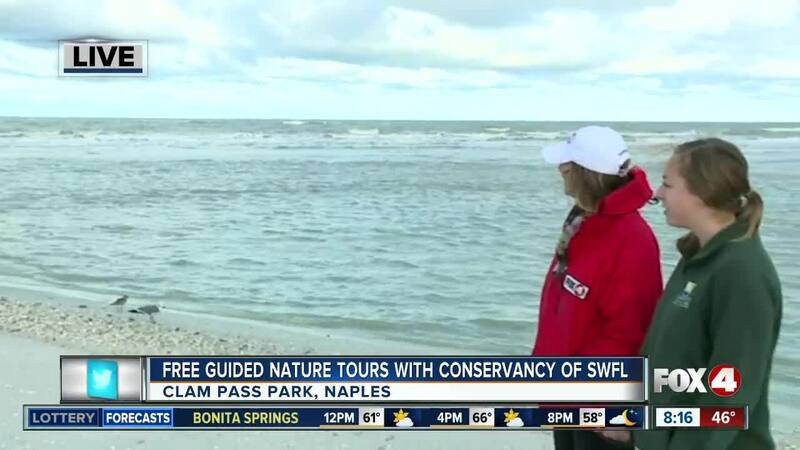 The tours are two hours long and they advise you to bring a hat, water and sunscreen. Meet at the tram stop Gazebo near the parking lot. Parking is free with a beach sticker. For more details and dates, click here .